Back in the fall, when the temperatures started to drop, I caught the knitting bug. This is pretty common for me, and usually means that someone special will receive some hand knitted Christmas gifts! I have been knitting for years, but haven't really made it past the novice stage. 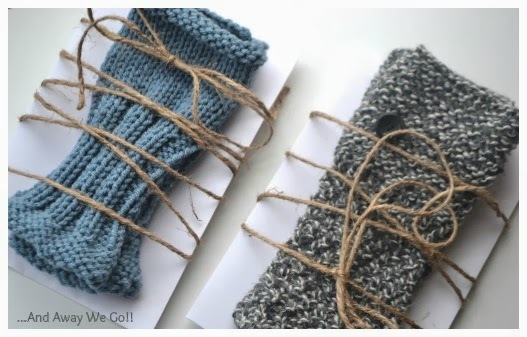 However, simple knitting patterns are easy to find and don't have to be limited to dishcloths and pot holders! Here are some of the fingerless mitts I made for Andrew's preschool teachers! 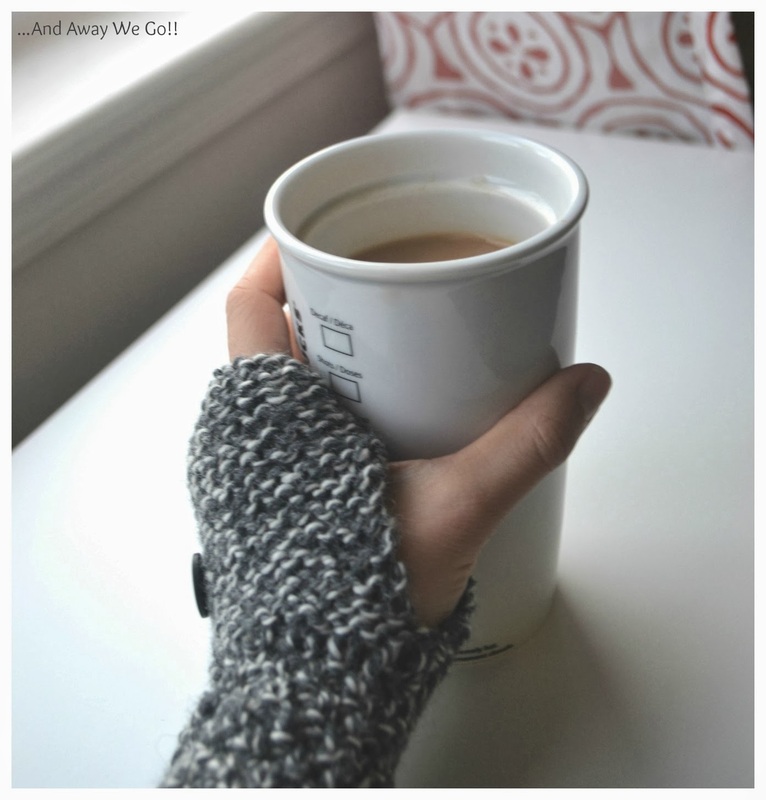 These mitts were very simple. I am not a quick knitter and I was able to complete one mitt in an evening of knitting (About one episode of Downton Abbey). 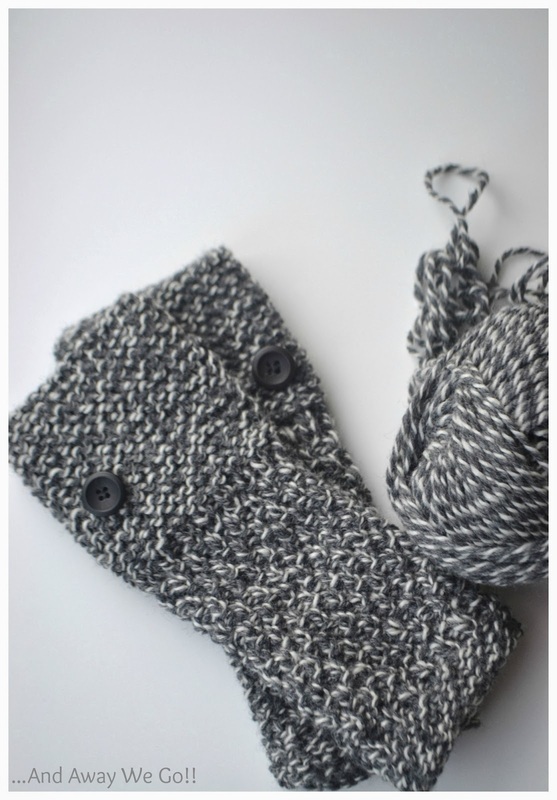 I completed the grey pair first, following a knitting pattern that I found on Pinterest. You can find the pattern here. The blue pair were very similar, but I altered the pattern to get a different look, the pattern for these can be found at the end of this post. 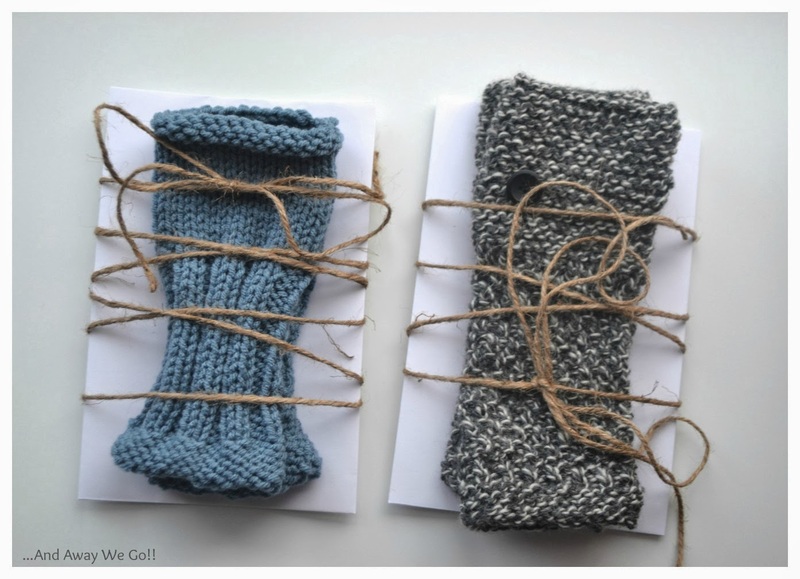 We packaged the mitts by wrapping them and a Christmas card with twine. 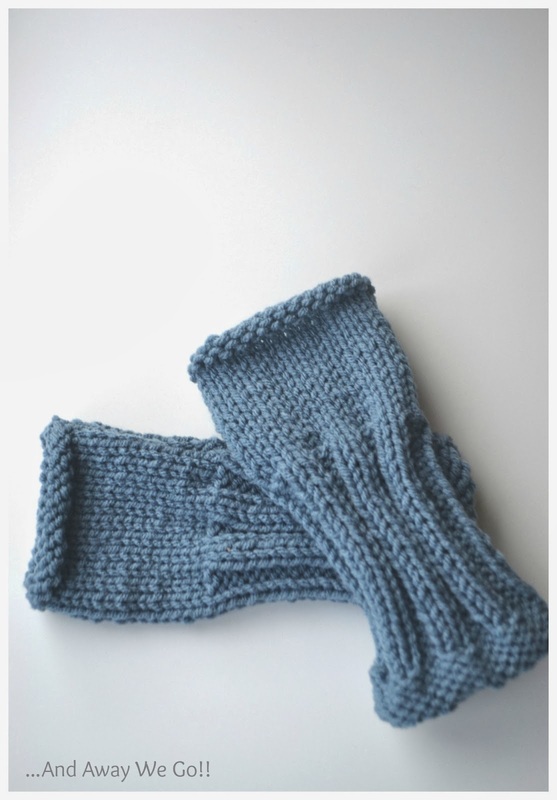 I loved the simple, rustic look and was happy that the mitts were displayed, rather than being covered up! Andrew's teachers were thrilled with their gift and very touched that I took the time to create something handmade... I was pretty proud! Now that temps are above freezing, maybe they'll be able to get a little more use out of them!! Sew together the top 5 stitches, and then sew together the length of the "Arm" and "Cuff", leaving a hole for the thumb. Very nice Leanne, what special gifts, hand made ones are the best! These look amazing...what a great teacher gift idea! 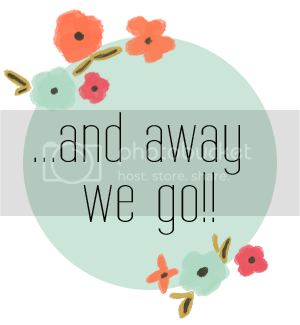 Back to blogging... and a last minute printable!